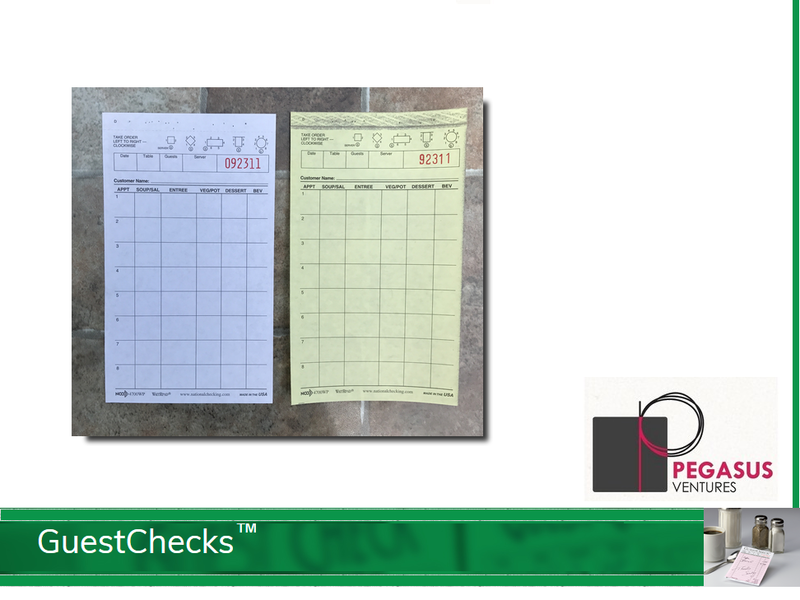 From National Checking Company the 4700WP WaitRpad brand waiter pads are medium two-part carbonless guest checks which create a duplicate copy without needing a carbon insert. 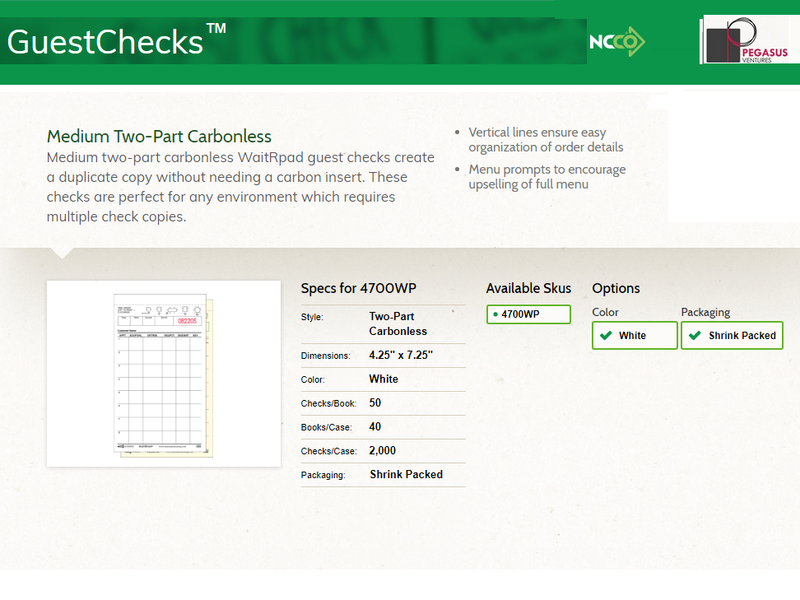 The 4700WP WaitRpads are perfect for any environment which requires multiple check copies. 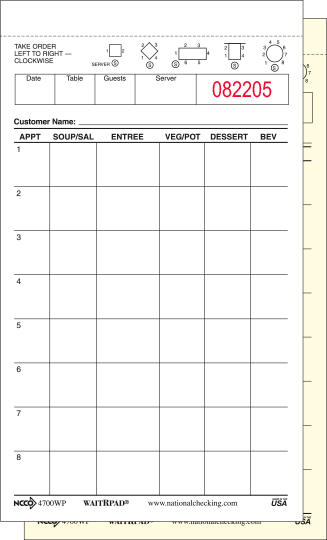 The 4700WP features vertical lines ensuring easy organization of order details as well as menu prompts to encourage upselling of the full menu. The 4700WP WaitRpad guest checks come shrink wrap packed in cases of 2,000 restaurant waiter pads with both copies printed on bond paper. Each book has 50 2 part waiter pad guest checks along with a wrap around paper to prevent writing through to the next guest check with 40 books in each case. Need a guest check holder or presenter for the 4700WP WaitRpad? 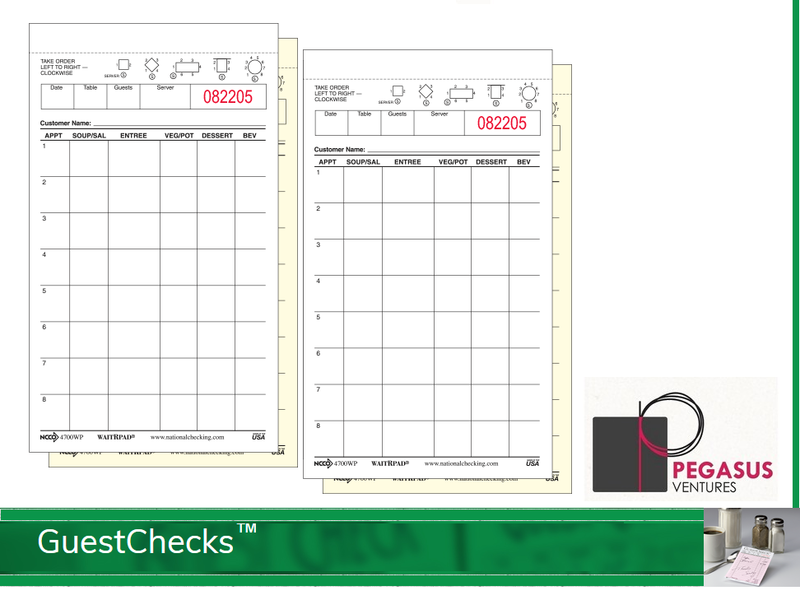 The AL-75 fits great for these guest checks printed by National Checking Company. 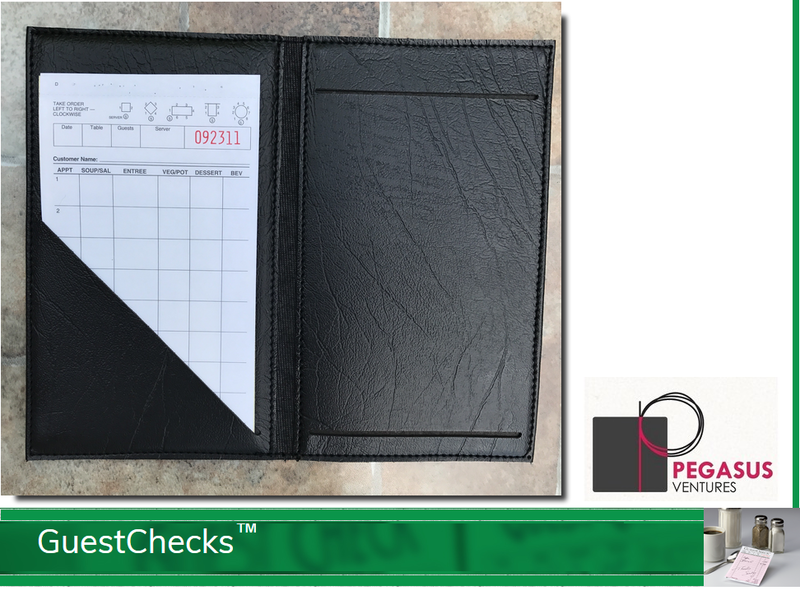 The AL-75 GuestCheck™ holder GuestCheck™ presentation folder with pockets for storing credit card, change and receipt. Holds waiter pads up to 5" x 9.5". 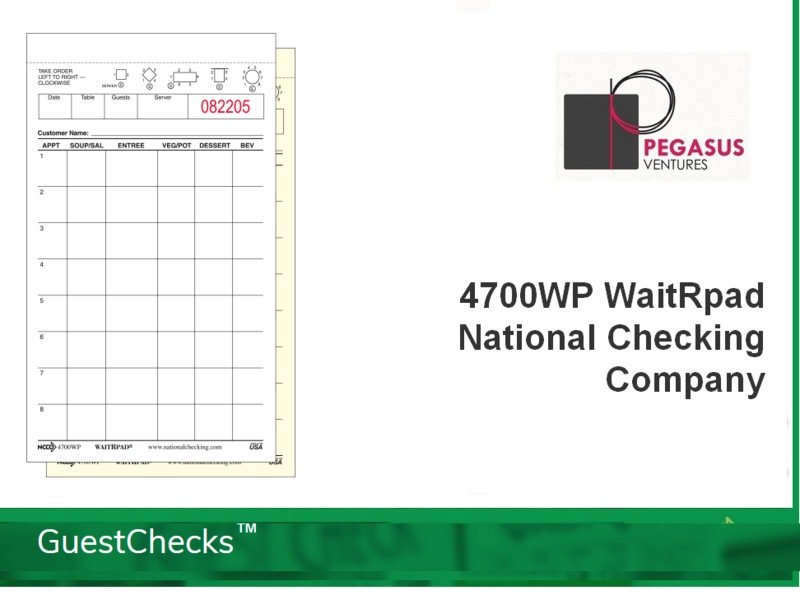 The 4700WP WaitRpad restaurant guest checks from National Checking Company are always in stock and ready to ship to your restaurant, catering business, institutional kitchen as well as your home.